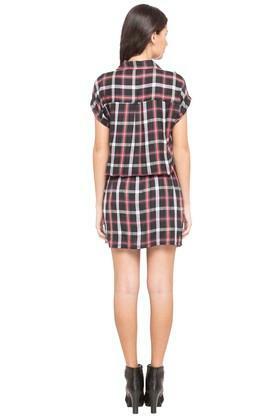 The coveted brand, Love Gen brings you this mini dress to enhance your style statement. It has a refined finish and is quite comfortable to wear as it is crafted with care using a premium quality fabric. Besides, it features a check pattern along with a collared neck that renders it classy. 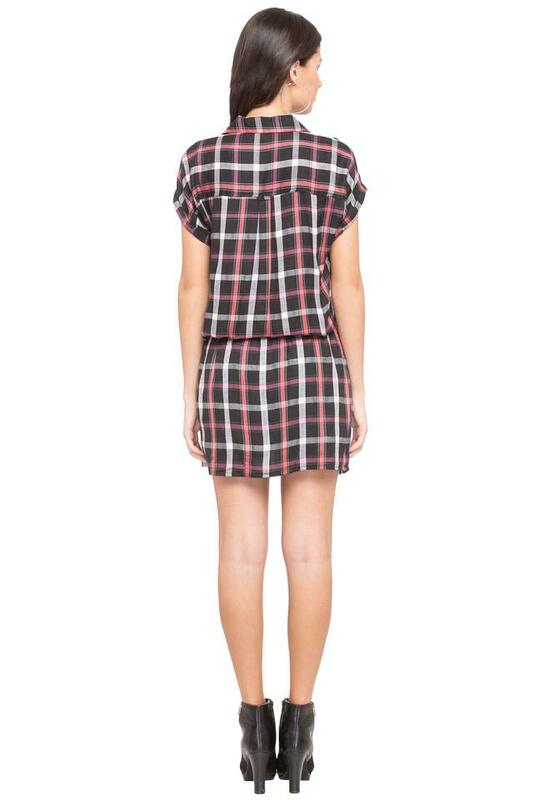 Redefine your style statement by wearing this mini dress while heading to a casual outing. You can wear it with a pair of block heels to complete your look.